A simple solution to an annoying problem. 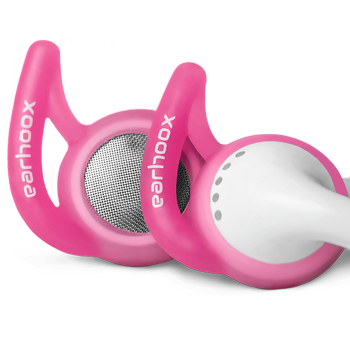 Earhoox will keep your earbuds where they should be (in your ears! ), no matter what you’re doing. These are super soft, durable silicone attachments that stretch around your earbuds or earpods and allow your earpods or earbuds to fit securely and comfortably in your ears. So nice to have continuous music without the worries of your earbuds falling out during your run! Each package comes in 2 sizes, small and large, so you’ll have a custom fit for any pair earbuds you own.